Conquer Asturias, and specifically Gijón, was not an easy task for the Empire, because the Astures gave enough war and an irritated Augusto, after 10 years of brawls, he appeared in the area mobilizing seven extra legions. The definitive submission would come in the year 19 before Christ. 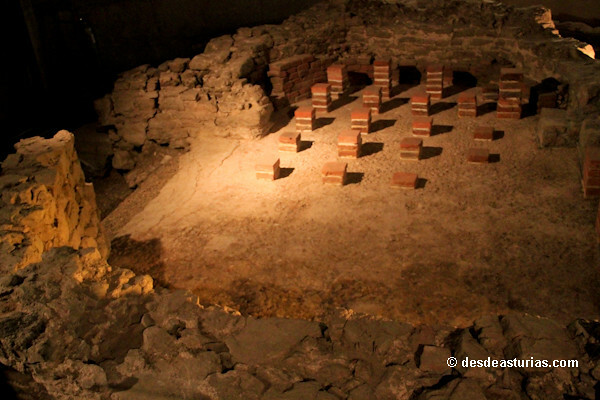 In the following centuries Rome would leave the trace of its architecture and way of life in Gijón, an imprint that until recently was not known one hundred percent, since new deposits have remained hidden for twenty long centuries. Octavio Augusto, first emperor of Rome, draws the attention of the passers-by at the western end of San Lorenzo beach. The sculpture presents the Supreme General of the Army addressing his subjects and in a command pose, although he seems to greet us and invite us to know his historical legacy in the city: the thermal baths of Campo Valdés, the Roman villa of Veranes or the fertile archeology of Campa Torres. 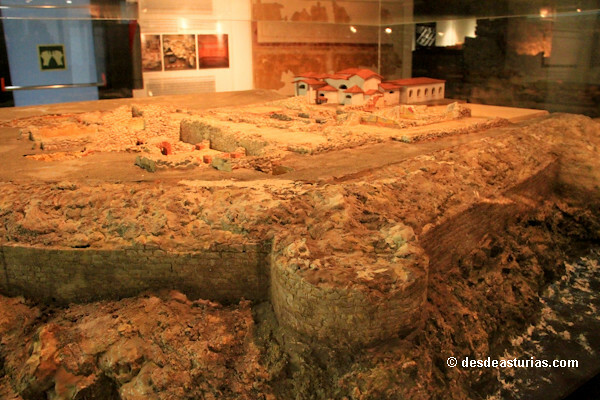 What has always been known is the Roman wall Once the urban center of Gijón was built, built between the end of the 3rd century and the beginning of the 4th, it closed the old city, which is currently the Cimadevilla district, extending from the beach (in the vicinity of the Church of San Pedro), to the fishing pier in the west. Its perimeter was close to one kilometer. 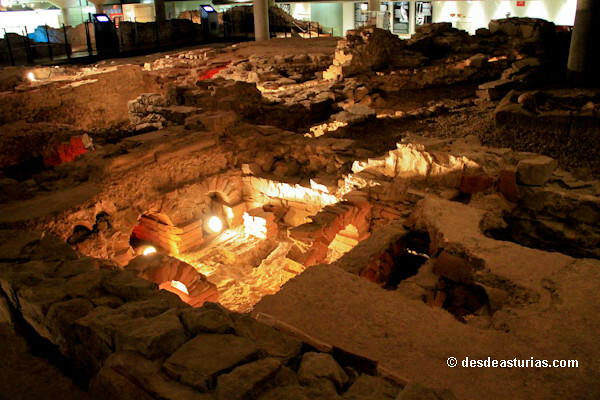 Within these walls, under the esplanade that is located in front of the Church of San Pedro, you can visit the ancient Roman Baths of Campo Valdés, public baths in which the inhabitants of the old Gijón spent part of their leisure time. 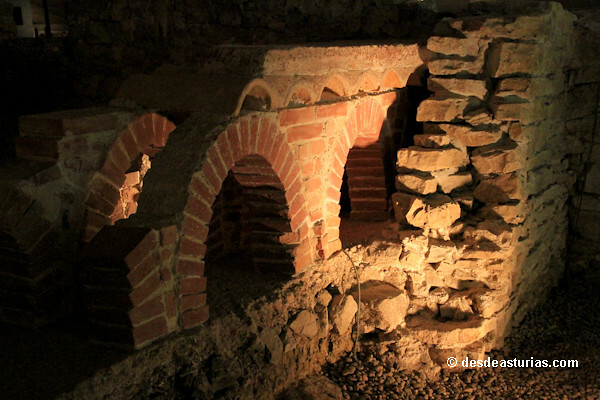 The thermal baths are a construction of the end of the 1st century and the beginning of the 2nd. 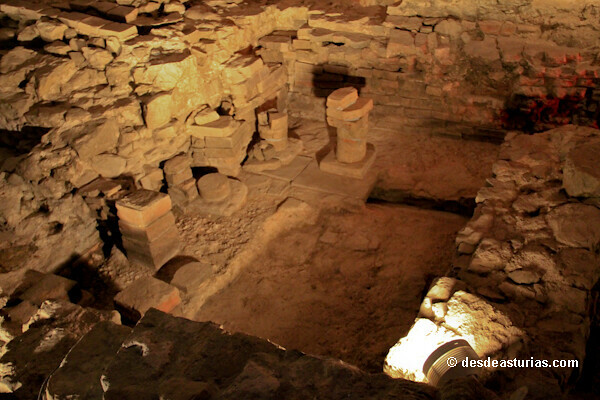 They are considered the most important Roman ruins discovered in the north of Spain. 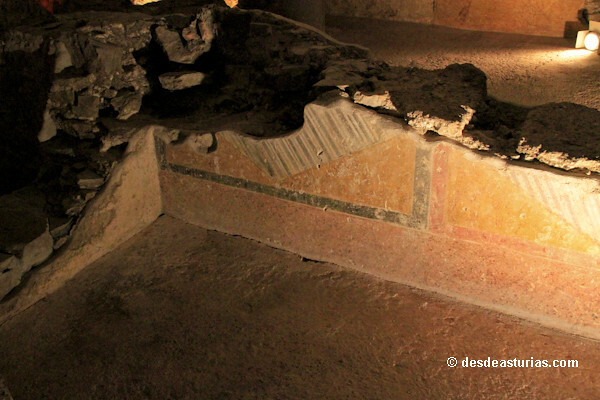 The current museum, located in the same thermal complex, shows the importance of these baths in Roman culture and construction techniques, highlighting the heating systems (hypocaustum) and wall paintings. 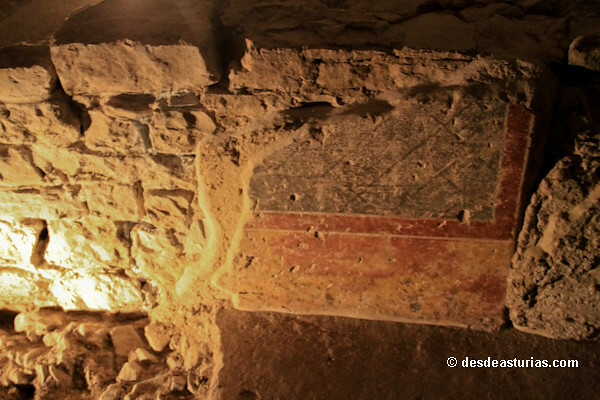 In its rooms we can find numerous archaeological materials found in the site. We are also illustrated with several models, interactive monitors and an explanatory video. The itinerary is made through a walkway that reproduces the original route. 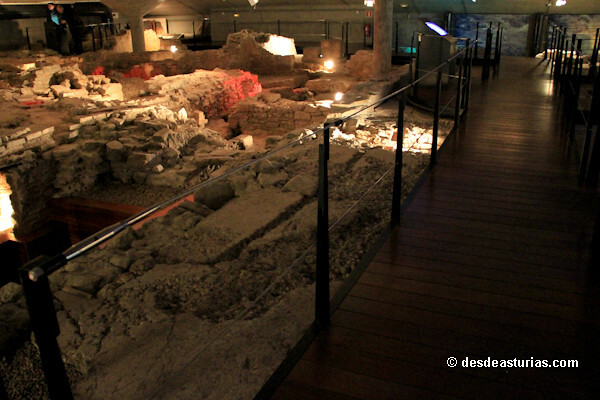 This public building remained occupied throughout the III and IV centuries, but without retaining its original function. The continuity of the occupation during the following centuries is reflected in a deposit of late antique materials dated between the 5th and 6th centuries. 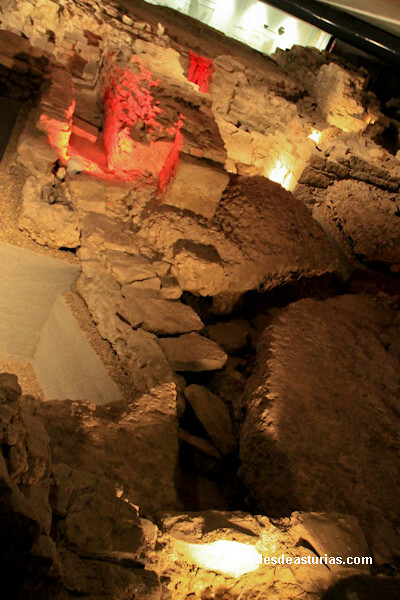 Finally, during the Middle Ages, the space was reused as a necropolis. 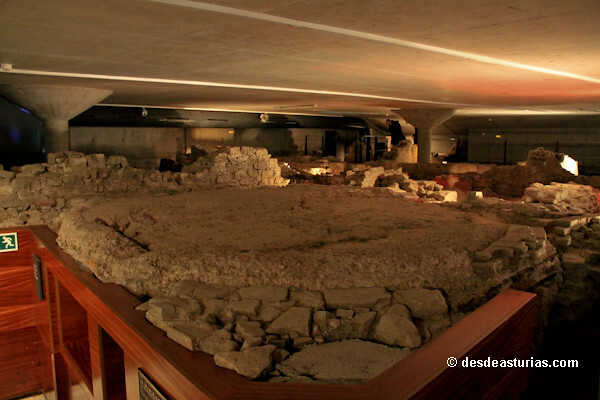 Today in this place is the church of San Pedro, founded at the beginning of S. XV. 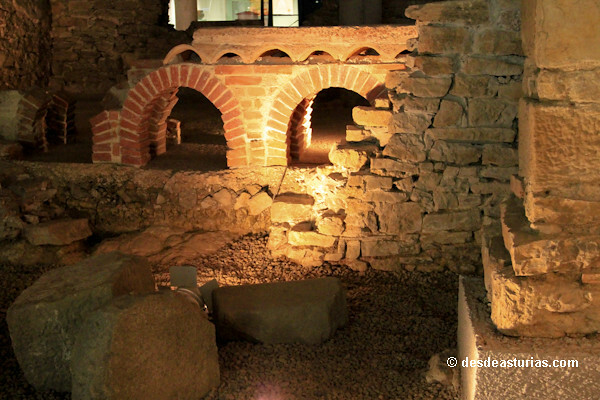 Romanesque Gijon finds another notable example of its development in the current museum of the Roman Villa of Veranes, open to the public in March of 2007, covering approximately one hectare of extension. The location of this villa, on the outskirts of Gijón, obeys the demands of the time: quiet, sunny places, animated by the beauty of the surroundings and with an abundance of water. 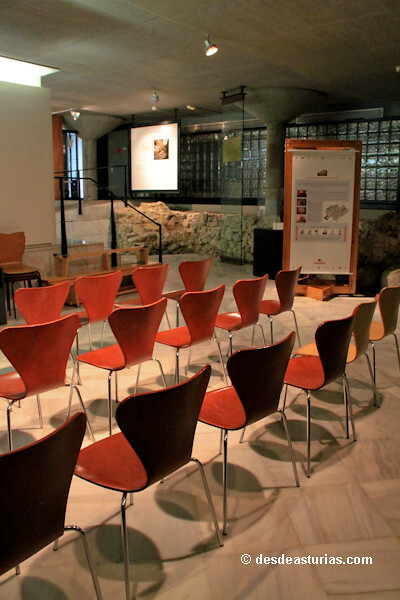 The museum is accessed through a reception building that acts as a gateway to the remains of the villa and contains an audiovisual room and exhibitions. The visit to the site itself is through a paved road that descends to the monument, from here a path leads to different observation points and their rooms. In reality what we do is to enter into old farms two thousand years ago: a Roman farm, which had the residential area or urban pars and the rustic country. In the first lived the lord of the village and in the second extend the spaces dedicated to the exploitation of the fundus. 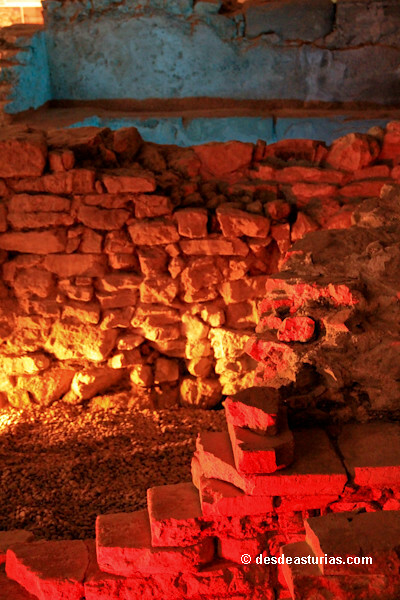 The archaeological remains that can currently be visited in Veranes belong to the urban pars of a large settlement that was built in the Late Empire (4th century AD) on the primitive ruins of a rustic high imperial settlement of considerable relevance. A large manor house, in short, belonging to a notable owner, who was surely called Veranius. The walk through the ruins allows us to know what everyday life was like back then, what their tenants ate, how they got food, what kind of livestock they had, what they spent their free time ... some of the rooms, which we know first-hand , they conserve part of their original pavements, excelling a polychrome mosaic that is undoubtedly the jewel of the complex, with dimensions of five square meters and very well preserved. 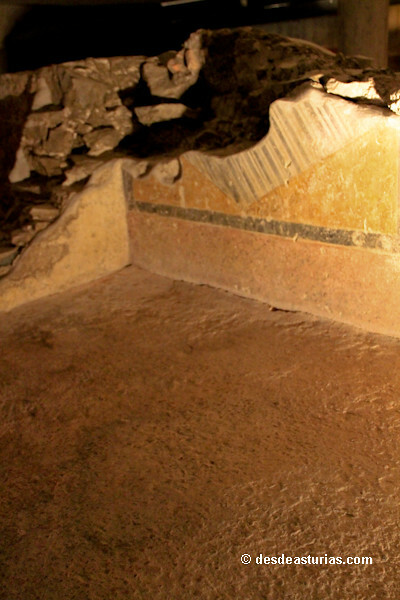 Although the town of Veranes dates from the first century after Christ, its moment of boom was in the fourth century. Around the sixth century the area becomes a church and necropolis. In the fourteenth century it was abandoned and its recovery did not begin until the year 1997. 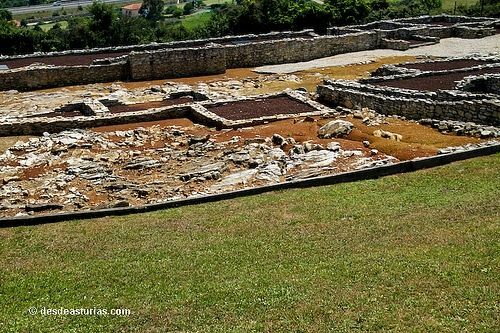 The Campa de Torres is another of the cardinal points of the Roman legacy in the municipality of Gijón, one of the Asturian sites that first showed its connection with the empire. It is a cape located west of the Bay of Gijón and the Cimadevilla neighborhood, from here we can enjoy magnificent views of the city. This watchtower is the current headquarters of the Archaeological Park of the Campa Torres, in which the "oppidum noega", a Celtic town specializing in metallurgy, cited by Strabo, Pomponio, Mela and Plinio, is clearly visible. 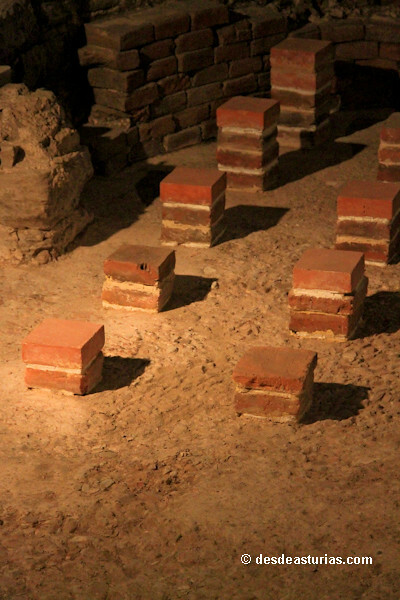 Besides delighting us with the primitive circular dwellings of the ástures, we can clearly see the subsequent influx of romanization, which definitively introduced the rectangular interior. All this is clearly explained to us in an annex building that serves as a permanent exhibition, and that also has a temporary exhibition hall, workshops and assembly hall. 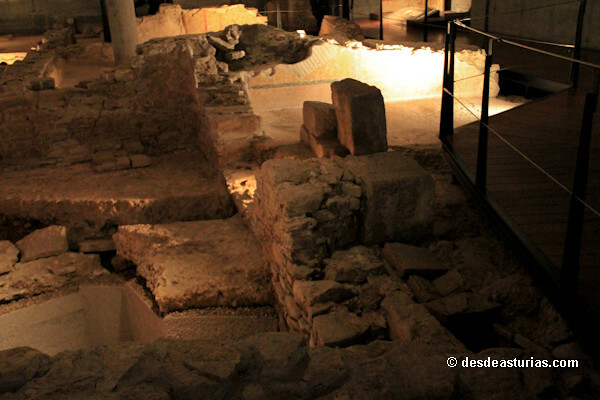 Finally, to finish knowing the Roman imprint of Gijón, we can approach the call Clock Tower, very close to the Roman baths. 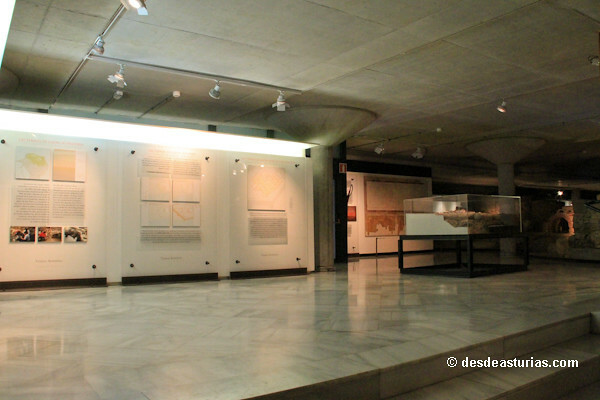 Interpretation Center that houses a permanent exhibition about the history of the city. 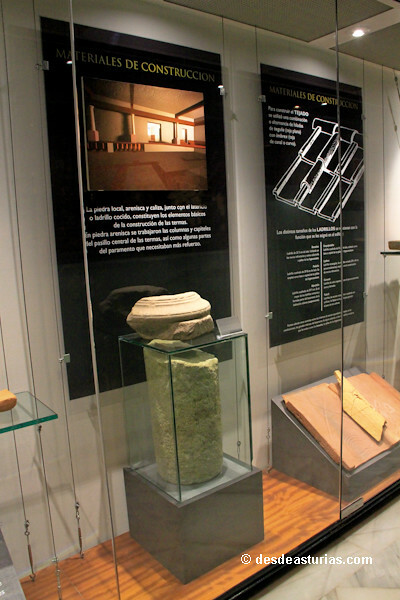 The exhibition of historical and archaeological documentation is divided into five floors and reflects more than twelve years of excavations in the city and its council, as well as other testimonies of urban development between the sixteenth and nineteenth centuries. 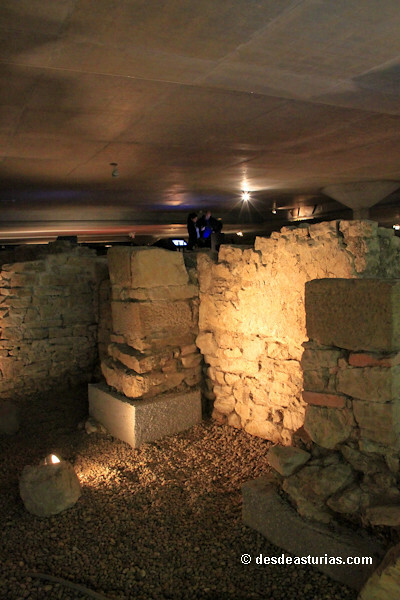 The itinerary begins on the ground floor, where you can see remains of the Roman wall and pre-Roman materials found in the council. 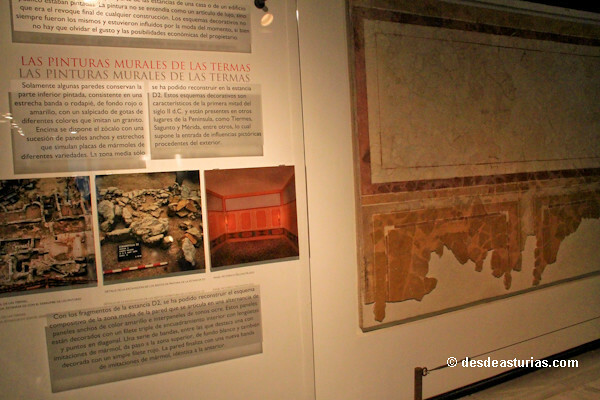 There bonos Individual entry for the three archaeological museums. The rate for seniors of 16 years is 4,20 €. Retirees, children under 16 years, student card and youth card, groups (10 or more people), and family groups duly accredited: 2,05 €. 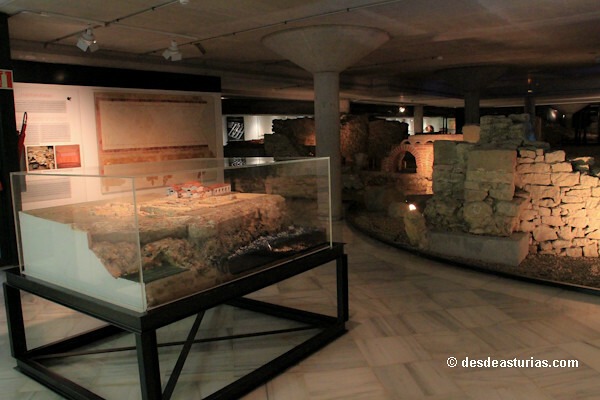 Site-museum of the Roman Baths of Campo Valdés: It is located in the western wing of San Lorezo Beach, under the esplanade that is located in front of the Church of San Pedro. Hours: September to June. Tuesday to Saturday of 10: 00 to 13: 00 hours and 17: 00 to 20: 00 hours. Sundays and holidays of 11: 00 to 14: 00 hours and 17: 00 to 19: 00 hours. July and August. Tuesday to Saturday of 11: 00 to 13: 30 hours and 17: 00 to 21: 00 hours. Sundays and holidays of 11: 00 to 14: 00 hours and 17: 00 to 20: 00 hours. 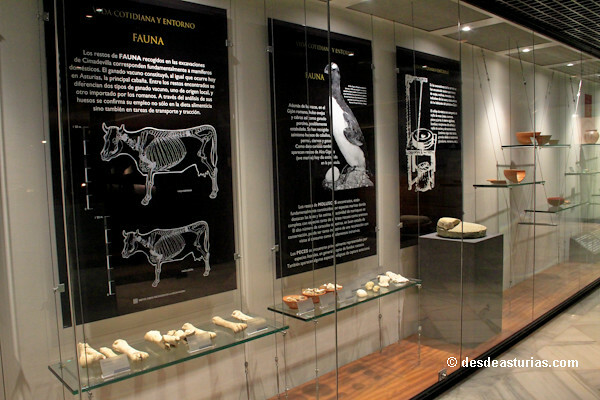 Villa de Veranes Museum: To twelve kilometers of Gijón, in the population of Cenero, to 12 km. 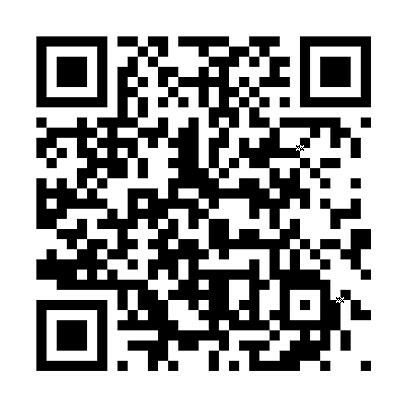 It is accessed by the AS-18, 17 Output. Schedule: October to April. Tuesday to Friday from 10: 00 to 17: 00 hours. Saturdays, Sundays and holidays of 11: 00 to 18: 00 hours. May to September. Tuesday to Friday from 10: 00 to 20: 00 hours. Saturdays, Sundays and holidays of 11: 00 to 20: 00 hours. Free day: Sunday. Closed Monday. Schedule: October to March. Tuesday to Saturday of 10: 00 to 13: 00 hours and 16: 00 to 18: 00. Sundays and holidays of 11: 00 to 17: 00 hours. April to September. Tuesday to Saturday of 10: 00 to 13: 00 hours and 17: 00 to 20: 00 hours. Sundays and holidays of 11: 00 to 18: 00 hours. July and August. Tuesday to Saturday of 11: 00 to 13: 30 and 17: 00 to 21: 00 hours. Sundays and holidays of 11: 00 to 19: 00 hours. Free day: Sunday. Closed Monday. Tno . : 985 30 16 82. 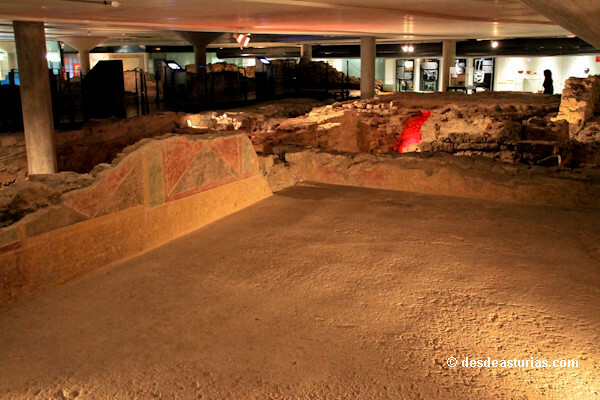 A response to "The Roman sites of Gijón"